If you’re looking for the best fat burners on the market, then arguably 2 of them are right here; Instant Knockout vs Shred Jym. While looking at the benefits that each product is claimed to deliver, we noticed something interesting…Shred Jym didn’t claim to offer appetite suppression, while Instant Knockout did. 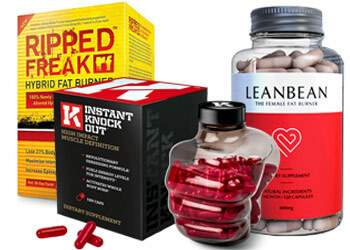 Anyway, we’ll be checking which ingredients are inside both fat burners, to ensure that they deliver on their promises. So without wasting any more time, let’s get started. In the red corner, we have Roar Ambition, who are a premium supplements company. They don’t offer bucket-loads of products like other companies, but the 3 they offer have become market-leading supplements in the industry. In fact, their fat burner, Instant Knockout was originally created for MMA and UFC fighters, to help them cut weight. However, since it was proven to be so successful, they made the product available to the public. 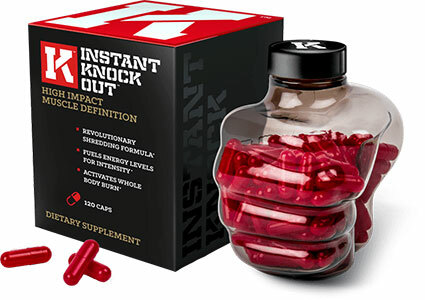 After using it for ourselves, we can confirm that Instant Knockout is the real-deal. So it’ll be interesting to see how it compares to another highly rated fat burner, Shred Jym. The people who create Shred Jym is Jym Supplements. They market a range of supplements, including pre-workouts and even multivitamins. Jym Supplements’ most popular products are probably their pre-workouts. However, this fat burner is also highly rated, so it’ll be interesting to see which ingredients have been added below. Our first impressions of both fat burners are positive, as they don’t contain any proprietary blends; this means that none of the ingredients’ dosages are hidden from you. Also we’re glad that both contain key fat burning nutrients, green tea extract, cayenne pepper extract and caffeine. But on a slight negative, we can see that Shred Jym contains Synephrine, which has been shown to cause numerous side effects and been banned from certain countries as a result. Anyway, we’ll compare the dosages of identical ingredients inside both Instant Knockout vs Shred Jym first. After that, we’ll look at the unique ingredients that are seen in both products, to help you determine which is better. Both Instant Knockout vs Shred Jym contain this nutrient, which is great. Why? Answer: green tea extract has proven to boost your metabolism, which directly promotes fat loss. More good news is that both fat burners contain the exact same dosages of green tea extract; as this is an optimal amount in both Instant Knockout and Shred Jym, we’ll call this a draw in the first round. Well, this is because cayenne pepper extract is a thermogenic that raises your body temperature; your body has to work harder to cool itself down, burning more calories in the process. Consuming cayenne pepper extact through supplements delivers the same effect, but saves your mouth from burning from the spice. 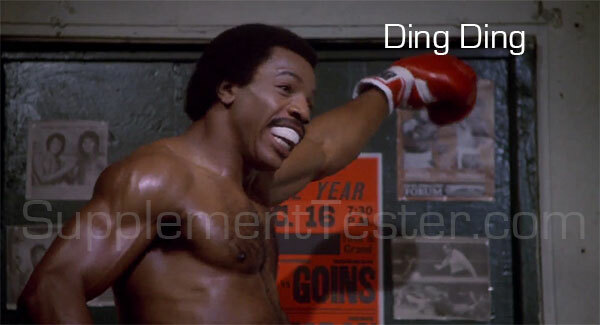 As there’s a very similar dosage in both Instant Knockout vs Shred Jym again, to be fair, we’ll call this a draw too. Caffeine Anhydrous simply means that caffeine has been dehydrated and turned into a powder, so it can be added into fat burners and other supplements. It’s a very pure form of caffeine, so you know exactly what you’re getting – this is great for keeping an eye on your caffeine intake. This is the first identical ingredient in both Instant Knockout vs Shred Jym that contains a differing dosage; IK contains 300mg caffeine, while Shred Jym contains 200mg caffeine. 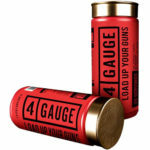 However, as these dosages are spread out between 4 capsules in both products, you’ll be safe from jitters here. Ultimately, this is part of the reason you should check the serving sizes of capsules per day with fat burners. If both only offered 2 capsules daily, then you would have been at risk from jitters here. Ultimately, this will help you decide which is the better fat burner overall. The main unique ingredient in Instant Knockout that impressed us, was glucomannan. Also known as konjac root, this is used to make ‘low calorie’ noodles and rice, and is great for suppressing your appetite; it expands in your stomach safely, which helps you feel full for longer. But for it to work, you need a good amount of glucomannan. Roar Ambition have clearly done their homework, as they’ve added a great 1,800mg glucommanan here, which will help you stay away from your snack draw between meals. You might be wondering what this ingredient is. It sounds quite fancy, but it’s simply unroasted coffee beans (the same kind that you make coffee with). Why are they kept unroasted? Answer: this keeps the levels of chlorogenic acid in green coffee beans high, which has shown to promote fat loss when consumed in supplements. It’s proven to work in numerous studies, so it’s hard to argue against it. Good job again here. You’ll often see this ingredient sitting on table tops, with people adding it to their food. But why is it added to supplements? Answer: black pepper extract has proven to enhance the absorption rate of other ingredients it’s consumed with – making the overall effectiveness of supplements slightly higher. However, as it doesn’t directly promote fat loss, we can’t consider black pepper extract to be a key addition to any fat burner supplement. L-Carnitine can be a great ingredient to consume in pre workouts, as it’s able to reduce muscular fatigue while improving your focus. However, it’s not as useful in fat burners, as studies haven’t shown l-carnitine to have a very good effect on fat loss. As a result, while it’s a good bonus addition to Shred Jym, it’s not the best ingredient either. We mentioned at the start that synephrine can be a potentially harmful ingredient, and for good reason – it’s shown to cause numerous side effects that you’ll want to avoid. So why do some companies still add synephrine? Answer: it has shown to slightly promote fat loss. That’s right, we acknowledge that synephrine actually works. 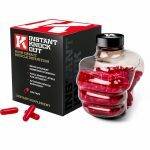 But when there are safe and effective options avaialble, there’s no need to risk your health by taking Instant Knockout. As a result, we recommend you to stay away from supplements containing synephrine, to stay safe. L-tyrosine is usually added into nootropic supplements and pre workouts, due to its ability to boost your cognition. S0 Jym Supplements have probably added this to enhance your focus while taking Shred Jym. But the bad news is that l-tyrosine isn’t really needed in any fat burner, as it doesn’t promote fat loss. As a result, l-tyrosine is another bonus addition to this fat burner here. It’s clear that Roar Ambition spend quality time formulating their products; Instant Knockout doesn’t contain any nutrients that are likely to cause side effects. We can also confirm that we didn’t suffer any side effects when taking Instant Knockout. However, it’s not good news for Shred Jym. 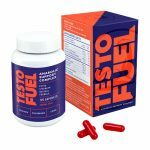 This fat burner contains synephrine, which is known for causing many side effects, including nausea, anxiety and diarrhea. As a result, we believe that Instant Knockout has landed even more punches, and won the round. This was actually one of the closest battles we’ve had yet. Both products contains some key fat burning ingredients in similar dosages, which led to a few draw in the early rounds of the fight. However, Shred Jym was taken to deep waters and it failed to hang on; it doesn’t contain any nutrients that are likely to keep your hunger cravings at bay, while Instant Knockout contains an optimal dosage of glucomannan that’ll keep you away from the snack drawer between meals. Ultimately, it’s the small differences in such tight fights that make a HUGE difference. And while this wasn’t a knockout victory for either product, it’s enough for Instant Knockout to win via unanimous decision.